Some dishes just remind you of a different time in your life. When I use this Bhindi Masala recipe, I remember my first days of cooking. Almost seems like a different life now. But this was when I used to live with my lovely roommates. We’d plan dinner whilst chatting on the intra-net company chat too – good old days indeed. Bhindi Masala, warm rotis with ghee, sometimes accompanied by a bowl of Tadka Dal and of course the company of loved ones on the table beside you. Bhindi Masala is such an easy dish to whip up. These days you don’t have to go through tailing the okra to get rid of the stringy bits either. 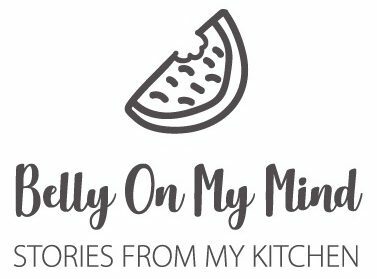 Prepackaged frozen okra is what I use – mostly because I don’t find fresh okra very easily. And it tastes just as nice as the fresh Okra. 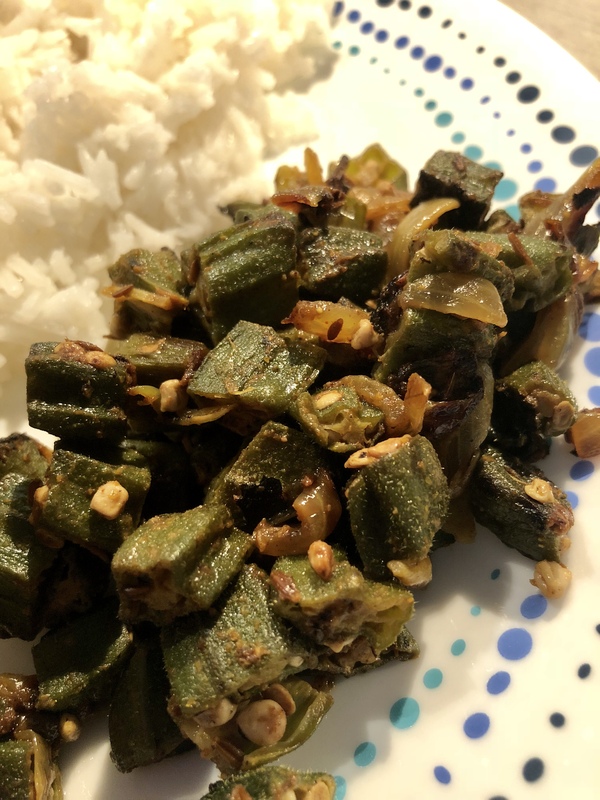 Okra Masala is one of those dishes that are a good accompaniment with roti’s or even with rice. It is also great for a dinner party if you are wanting to provide options for vegetarians and vegans. My Bhindi Masala recipe is vegan friendly. Easy-peasy Bhindi Masala - Perfect accompaniment with warm rotis. 250 grams okra topped & tailed, cut into small pieces. Wash the okra first, dry them and only then cut them. 1 tsp coriander stem and leaves washed and chopped finely. Heat oil in a large pan. Once the oil is hot, add in cumin seeds and asafoetida. Once you can smell the toasted cumin seeds, toss in the onions, salt to taste, turmeric powder, red chilli powder, garam masala powder and coriander powder. Cook the onions for 5 mins. Add the cut okra into the pan and mix well. Cover the pan with a lid and cook until the onions caramelise and the okra is cooked. Add the dried mango powder and stir well. Cook further for another 10 minutes while keeping a close eye on the okra. You want the okra and onions to catch a little so the onions are caramelised a little and the okra are slightly browned. Take off the stove and garnish with the coriander leaves. Serve with warm rotis or with rice and dal.